We were asked by Chivenor choir to join them on the trip that they had organised to Ypres, of which 10 of us attended. We left on Thursday 6th September, and stayed for 3 nights. 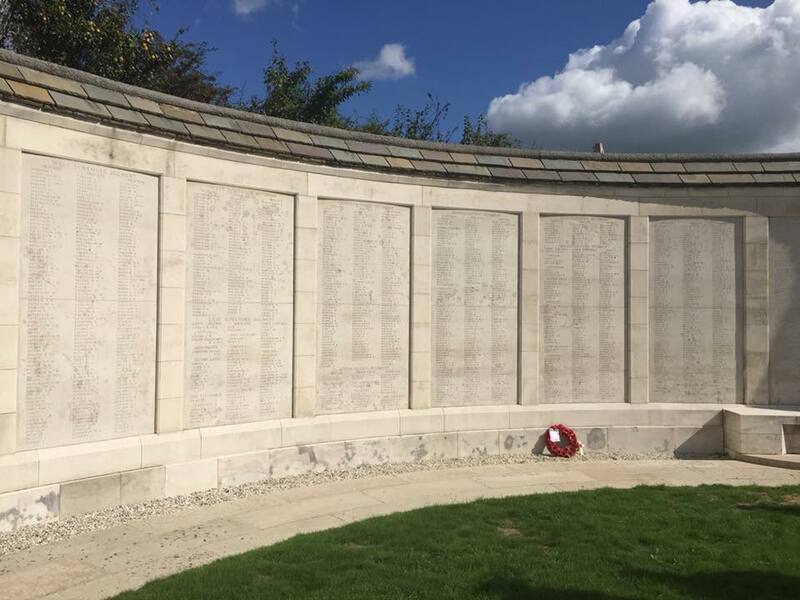 On the Friday morning we had tours arranged by ‘Single Steps Tours’, of which we visited various cemeteries around Ypres, which included Tyne Cot Cemetery, and the grounds of the Battle of Passchendaele. 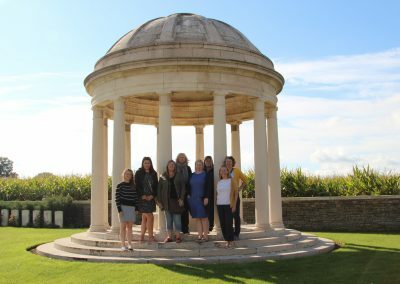 This was a very special visit for our choir as one of our members, Lisa-Joy Peake, has a Great Great Uncle, who lost his life during the battle, and sadly his body was never found. 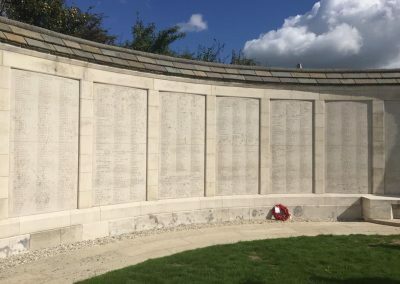 His name is carved in the wall at Tyne Cot, where nearly 35,000 names are carved for the men that lost their lives and have no known grave. She laid a wreath for him under his name and as a choir, along with Chivenor, we sang a song in remembrance. The song was ‘Only Remembered’ (from the War Horse prom), this was a very moving experience for everyone involved. 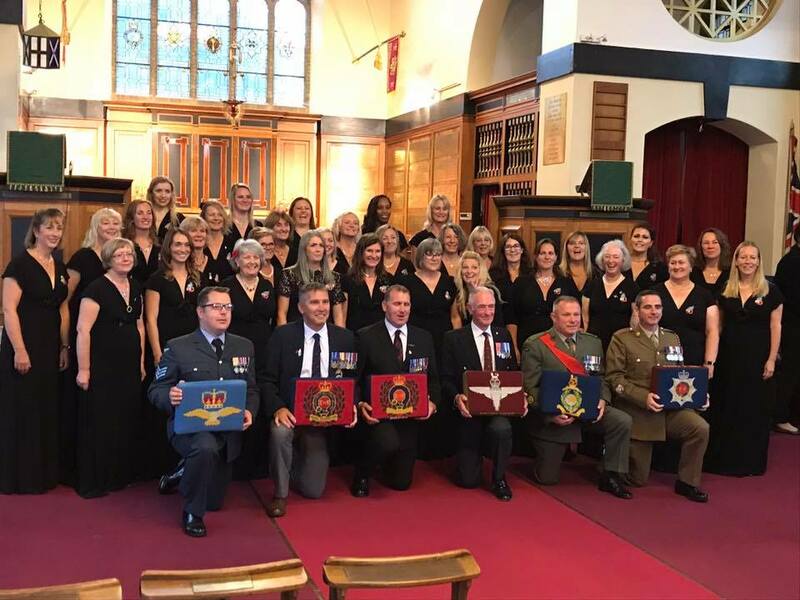 That night, we also sang at the Menin Gate for the Last Post Ceremony, which is held every night in remembrance to those who lost their life defending the town. We sang ‘Only Remembered’ during the ceremony, and after the ceremony we sang, ‘Home they bought Her Warrior Dead’ (poem by Tennyson put to music by Barnby). 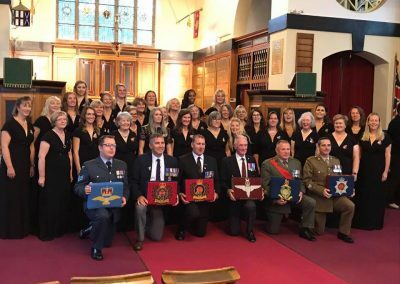 On the Saturday 8th September we performed our concert at the St.George Memorial Church in Ypres, to commemerate the centenary year of the end of the Great War. The Orchestra, CordonBois Ensemble, also performed at the concert, and we sang with them for the last song of the night ‘Roses of Picardy’. Overall, it was a very emotional trip for our choir members, but it was a great experience, and has prompted a few of us ladies to find out about our own family history, and search for our own family members who may have lost their lives during the Great War.